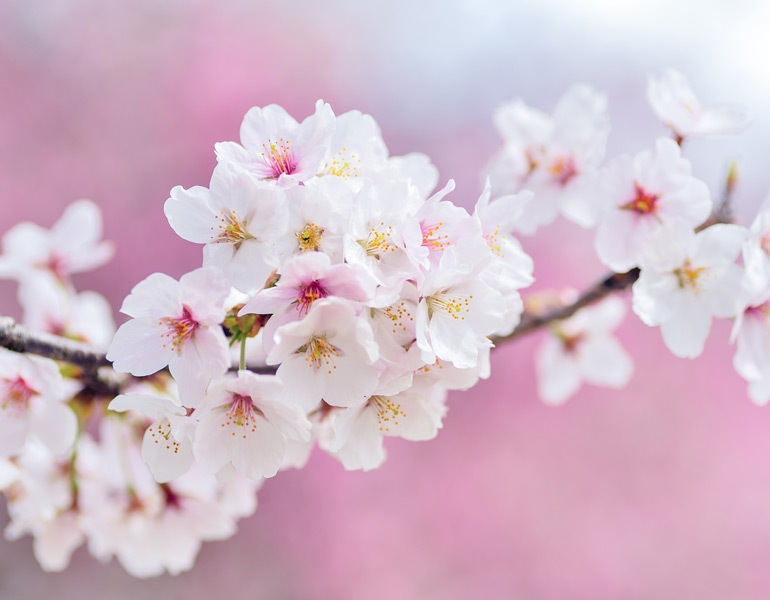 Welcome to the April edition of ENEWS. 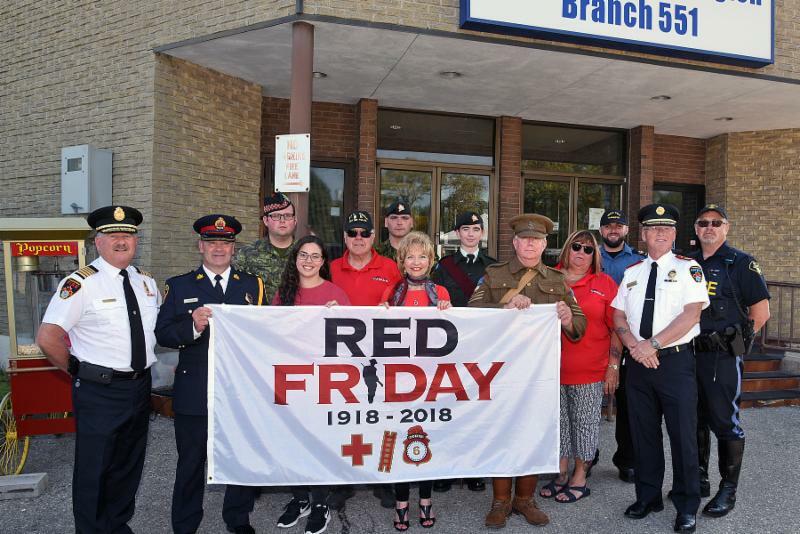 Please click on the links below for important updates in Flamborough.There are many great community events lined up this spring, including the Waterdown BIA 2nd Annual Bunny Breakfast, a Good Friday Fish Fry by Freelton Lions, and Easter Egg Hunts in Waterdown and Carlisle . ﻿I f you see me in the community, please stop and say hello. Everyone is welcome to the Strabane Optimist Club Community Breakfast on Saturday April 6, from 8am-12pm at Strabane United Church. 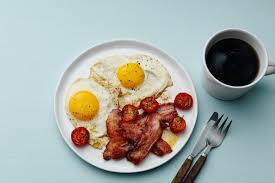 Adults $10, ages 12 and under $5- bacon, sausage, home fries, pancakes, and eggs. 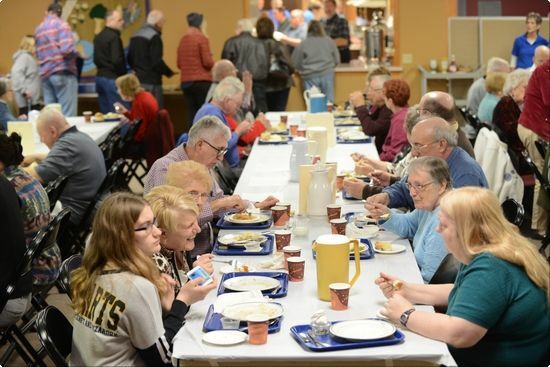 Knox Presbyterian Church is hosting a freshly cooked breakfast every 2nd and 3rd Saturday of each month, in support of those attending the World Scout Jamboree in July 2019. A variety of breakfast options are available from $4 - $8. We’re getting ready to hop into spring with the 2nd Annual Bunny Breakfast hosted by the Waterdown BIA and sponsored by BIA member businesses. Come for a delicious breakfast of pancakes and treats. 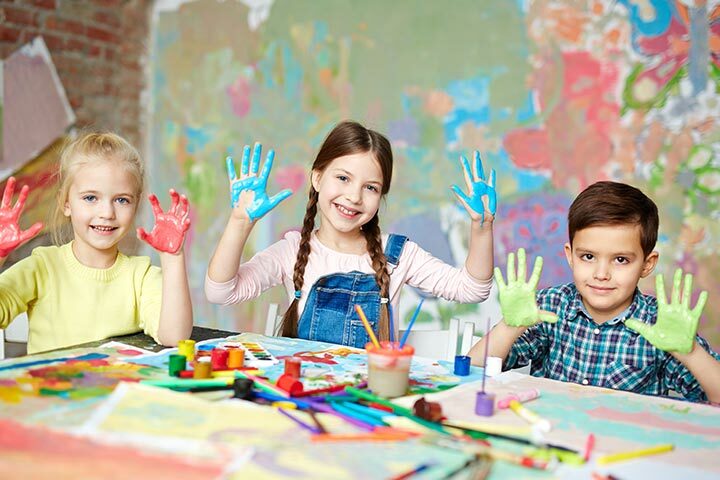 Family-oriented activities including entertainment and crafts. 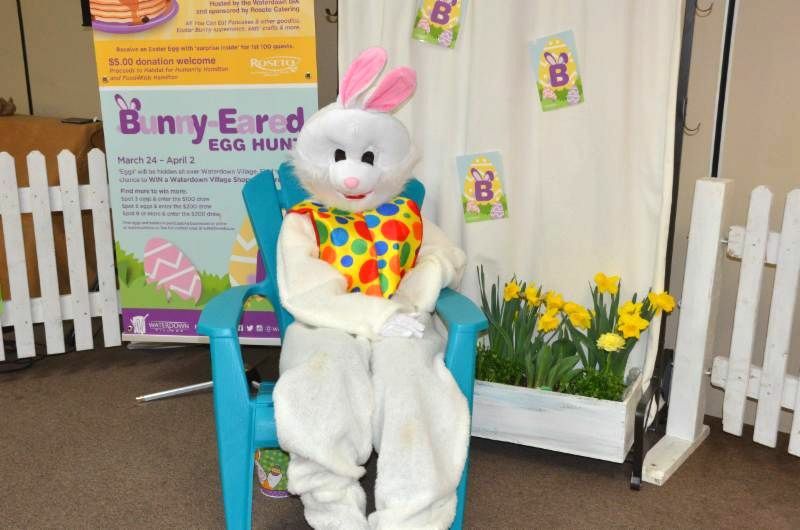 And, of course, kids will have an opportunity to meet the Easter Bunny. Lots of fun and Easter egg giveaways with special treats from BIA businesses for the first 100 guests. Admission by donation of $5.00 with proceeds going to support local Food with Grace food bank and Food4Kids. For more information, please click here. Lots of excitement is planned for Stuffed. 's 3rd Annual Easter Bazaar at Marian Hall in Freelton (beside Our Lady of Mount Carmel Parish). Many Local Artisans and Small Businesses will be showcasing their handmade crafts and services. Stop by the Stuffed. 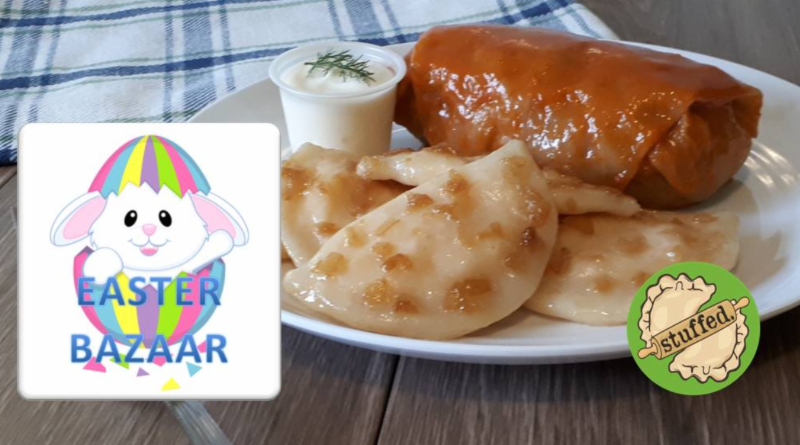 Lunch Café for our famous Handcrafted Perogies and Cabbage Rolls. 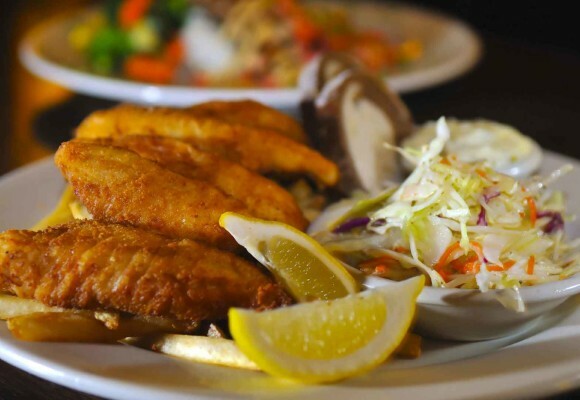 You can purchase them hot and ready-to-eat, or frozen to take home for your Easter Dinner. 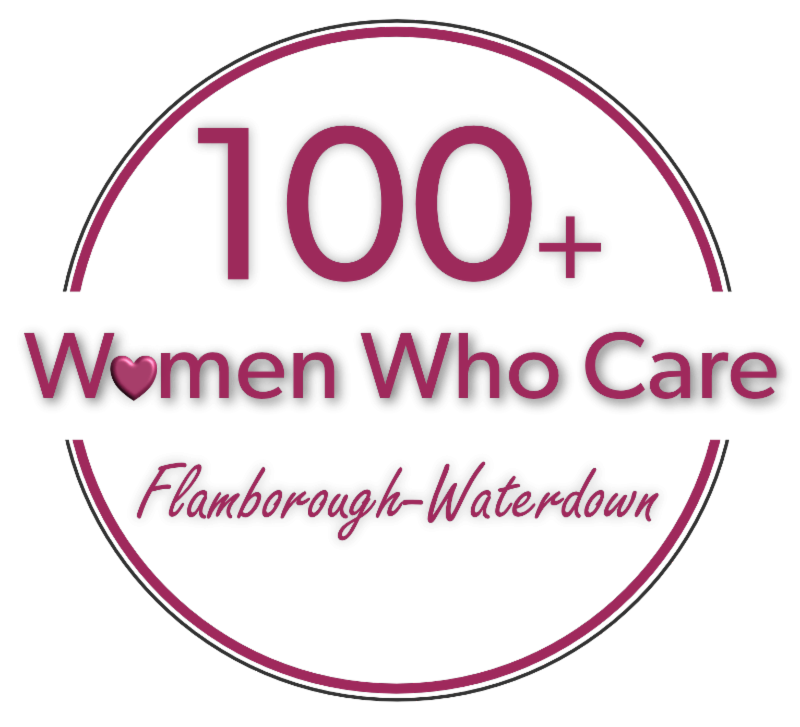 Donations will be collected throughout the day in support of Drummond House, a transitional home for women and children in times of crisis) in Waterdown. Elizabeth Matheson will present a flower demonstration with an Easter theme entitled "The Pleasure is Mine". Guests welcome. Call 905-689-6722 for information. 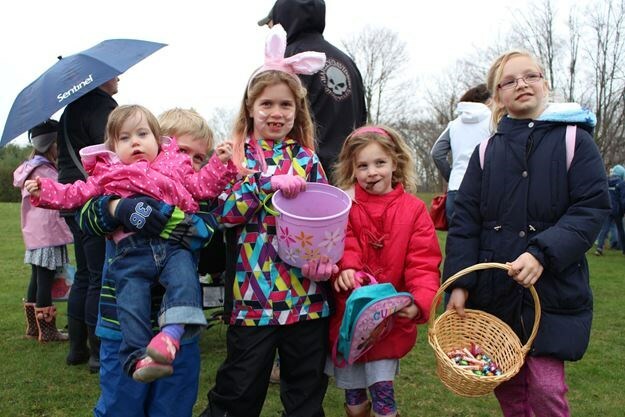 Join Councillor Partridge for a free Easter Egg Hunt at Waterdown Memorial Park- the egg hunt for ages 0-3 starts at 9:30 am, ages 4-7 at 10:00 am and ages 8-12 start 10:10 am. This event is completely free and open to all children, no pre-registration required. For more information, please click here . 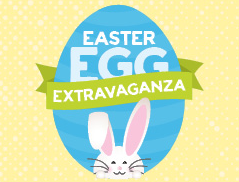 Celebrate the advent of spring with Mountsberg’s Easter Egg Extravaganza! 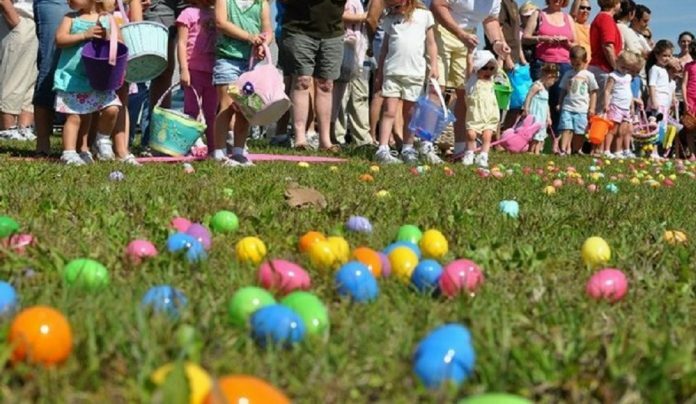 Kids will love the giant, non-competitive Easter Egg Hunt and meeting the farm animals in the barn yard. With a touch of face paint, little ones are transformed into adorable Easter bunnies. Make sure to check out the Birds of Prey and the Wildlife Walkway before you head home. You can get nose to beak with an amazing bird of prey during shows at 11am,12pm, 1pm, 2pm & 3pm! To learn more, please click here . Join the community for a free Easter Egg Hunt by the Optimist Club of Carlisle for ages 10 and under, starts at 11:00 am sharp. Everyone is welcome! 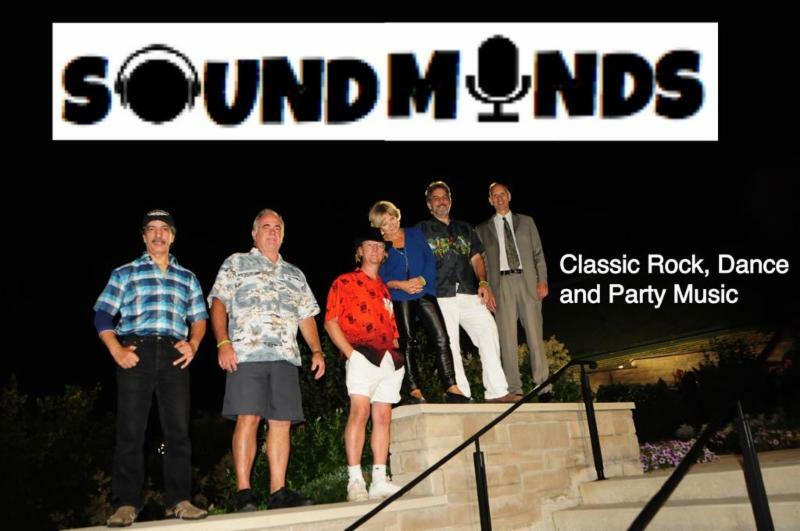 Enjoy entertainment by the Sound Minds Band, playing classic rock, dance, modern, upbeat and classic oldies- guaranteed to keep you on the dance floor all night long! No cover charge and everyone is welcome. Come early to get a seat! 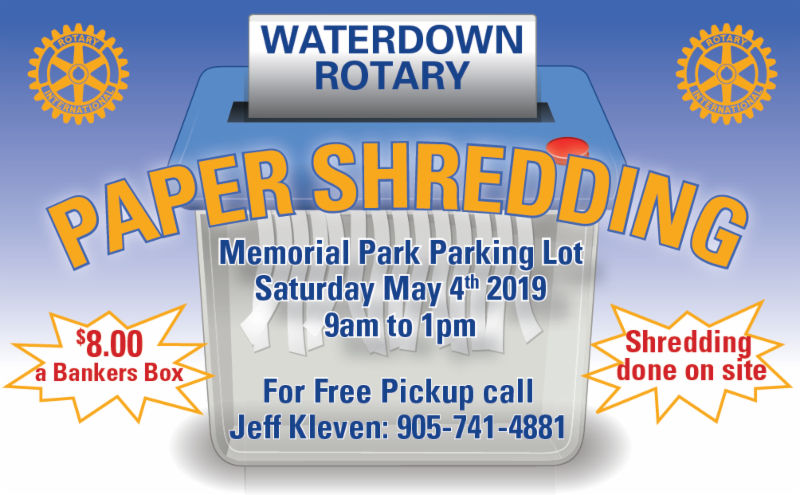 The Waterdown Rotary is holding a Paper Shredding Fundraiser on Saturday May 4 at Waterdown Memorial Park, in the parking lot - shredding done on site, $8 a Bankers Box. For free pick up, call Jeff Kleven 905 741 4881. 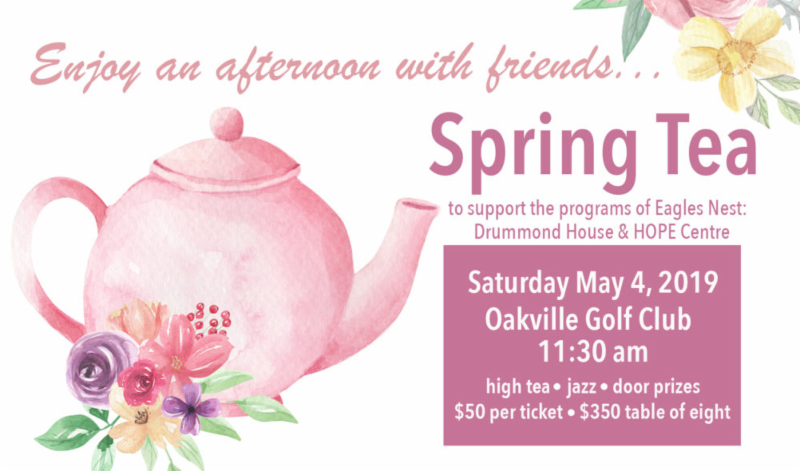 Bring friends and family for high tea, live jazz and door prizes. A great Mother's Day gift or an afternoon out with your girlfriends! Guests will get an update on Drummond House, as well as hear some stories about how lives are being changed at the HOPE Centre. Tickets are on sale now! $50 per person, $350 for a table of 8. For more information, please click here. 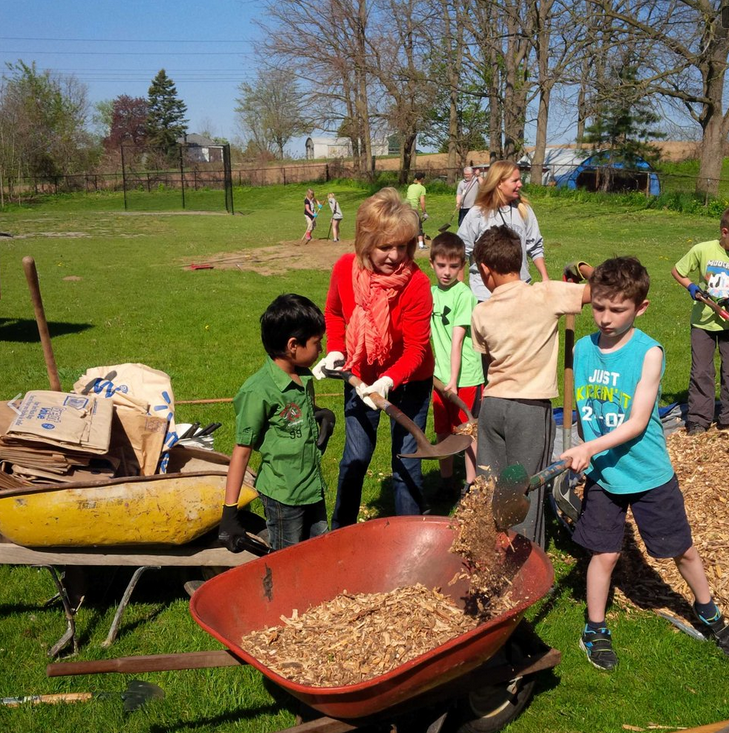 Councillor Partridge is pleased to support the neighbours of Borers creek clean up event on Saturday May 11th, starting at 9:30 am. There will be gloves, bags and other supplies provided at two locations – the gravel entrance off of Riley Street to the Borers Creek path and at the bottom of Don Road off of McDonald Court . Long pants, boots, protective clothing recommended and carpooling/walking to either location is encouraged. Please contact Jane if you have any questions. 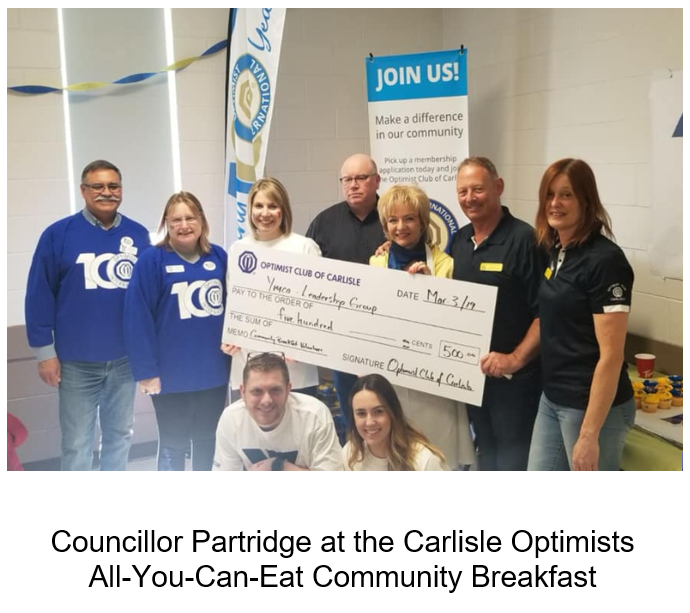 Everyone is invited to the Carlisle United Church's annual festival on Saturday, May 11th, raising funds for Flamborough Food Bank, Ontario Gleaners, Wesley Centre “Case for Kids” and Carlisle United Church. Chicken BBQ dinner with vegetarian option. Ticket prices $18 in advance, $20 at the door. Kids' chicken dinner $9 in advance, $10 at the door. Tickets available soon. Silent Auction - donations are being accepted, call the church at 689-8630. Kids' Zone with games and Kids’ Silent Auction — this year with Popcorn machine, Snow cone machine and Cotton candy machine. Hot dog stand by the Carlisle Scouting Groups. Please call the church to get involved or learn more - 689-8630. 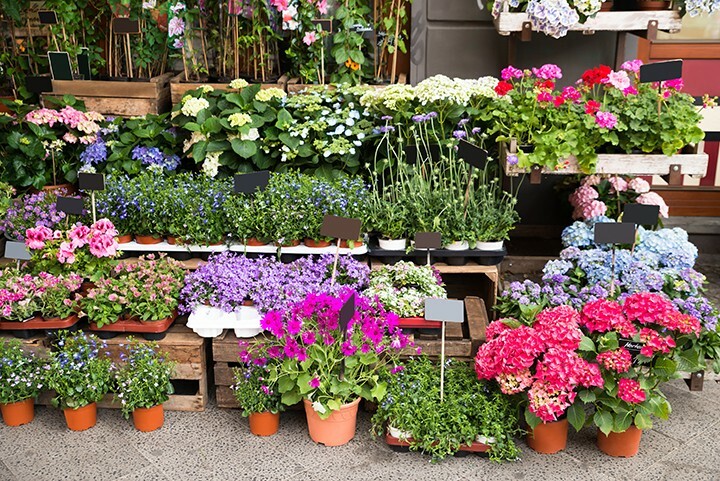 Join Councillor Partridge for the Flamborough Horticultural Society's 80th Anniversary on Wednesday May 15 at St. Thomas the Apostle Church. 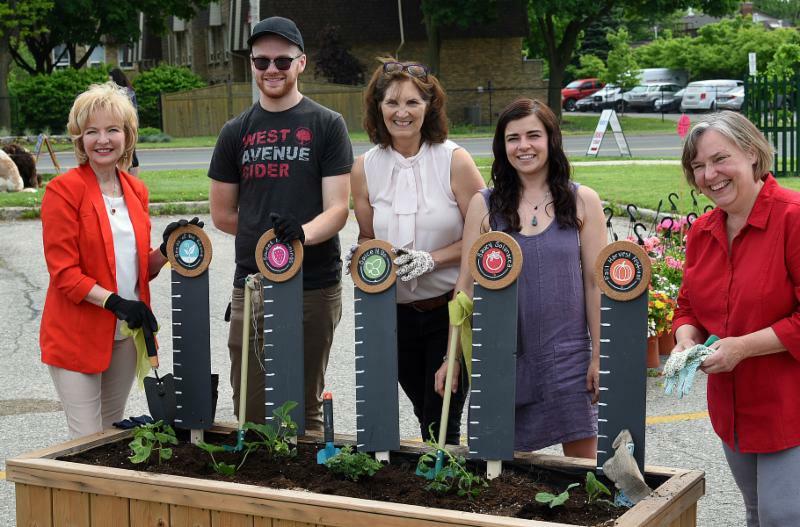 Founded in May 1939, the mission of the Flamborough Horticultural Society is to encourage interest and involvement in horticulture through civic improvement, preservation, exhibitions, the distribution of plant materials and regular instruction pertaining to the theory and practice of horticulture. Everyone is welcome! Call 905-689-6722 for more information. The Waterdown Village Farmers' Market is back on Saturday May 25 in the Waterdown Legion Parking lot - mark your calendar and join us! 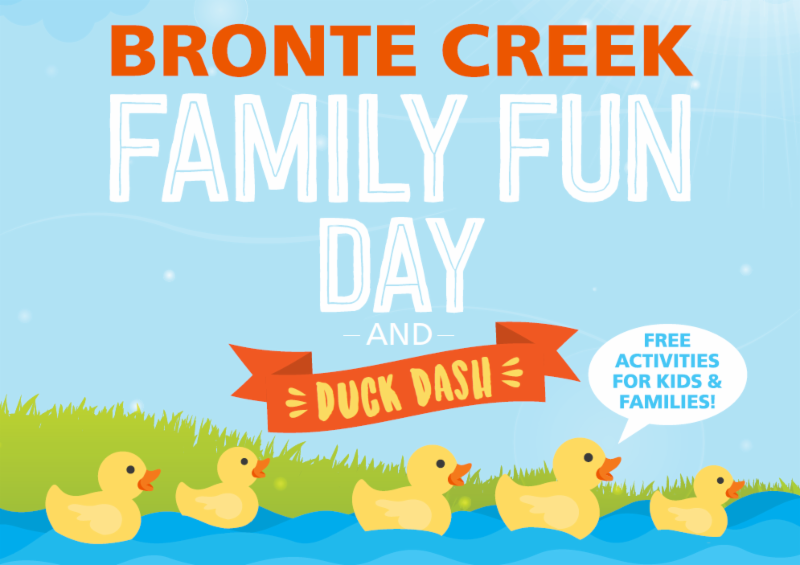 Mark your calendar for the Carlisle Optimists Annual Duck Dash and Family Fun Day fundraiser! Great Father's Day activities with free BBQ- live fish aquarium, fly tying crafts, fish painting, live raptors and more! Bring the family- come out and enjoy the fun! 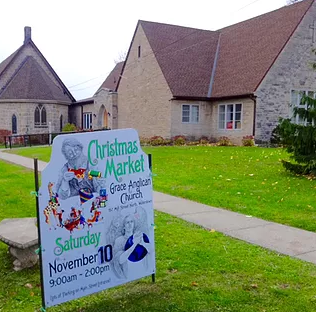 The community is invited to an open house at Grace Anglican Church, with bagpipes, treats, a bouncy castle, and the bishop just for a few highlights. Please call the church at 905-689-6715 for more information. 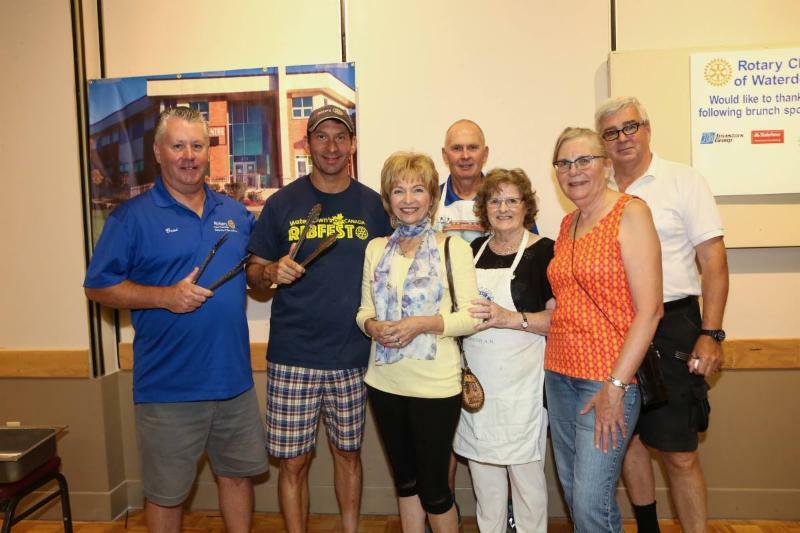 Come and enjoy a tasty brunch, prepared by community members and the volunteers of the Rotary Club of Waterdown in support of Food4Kids Hamilton-Halton and other Rotary projects on Saturday July 13, Saturday August 10, Saturday September 14 and Saturday October 12 inside the Legion. It is running in conjunction with the Waterdown Farmers' Market so come and have your breakfast to support this worthwhile event - cost is by donation. Then, feel free to walk outside and enjoy the market! For more information, please click here .